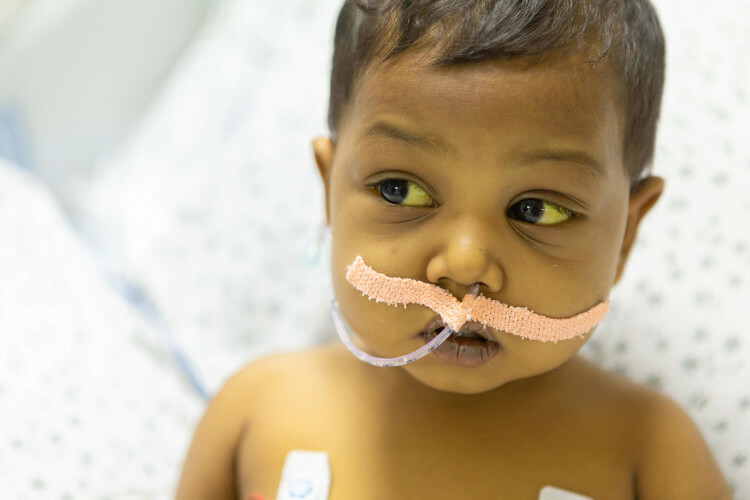 Aijar and Hajera had lost their first daughter when she was just 14 months, and suffered the same disease as Ayesha. “Ayesha’s pain is gnawing at her insides. She even passes dark yellow urine and clay-colored stools. Her skin and eyes are so yellow that they look like they have been painted. She can’t even eat because of her irritability. Her stomach is swollen because of the insane amount of fluid accumulated in her belly. I am scared that we might lose her any moment." 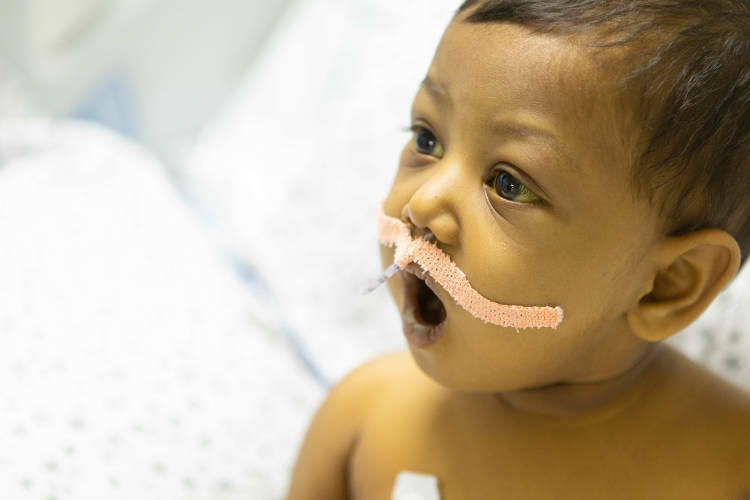 Little Ayesha is not only suffering from rapid liver failure, but is anemic too. Her hemoglobin levels have dropped to 3 (12.1 to 15.1 g/dL is ideal). She scratches herself a lot, and just cries out to her parents to save her from this misery. We have not slept for weeks now. My baby keeps waking up at night and cries in pain. Right now, she needs blood every day to survive. 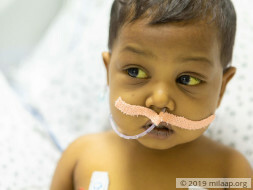 Doctors have told us that a liver transplant is the only way to save my baby. Aijaz and Hajera had lost their first baby to lack of awareness. She had somehow undergone a surgery, but that couldn’t save her. Local doctors had told them that there was no permanent solution and the baby would not live no matter what. 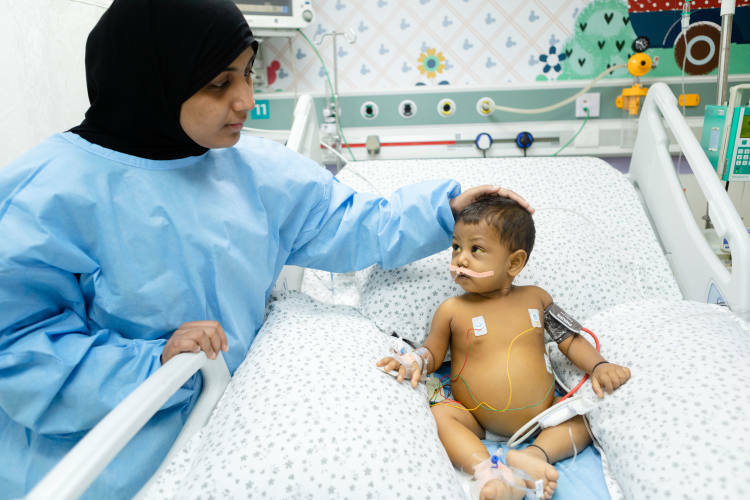 Ayesha’s condition deteriorated while the parents were looking for help to fund her treatment because they had already spent a lot on their first child. “I had carried my first baby in my arms every day in the hope that she will live. With Ayesha too, I have been doing the same. She is admitted to a hospital now, thanks to money I borrowed from some friends. Neither Hajera nor I can imagine our lives without her now. I can go to any extent to save her." Aijar couldn’t do a permanent job soon after Ayesha was diagnosed with liver failure. He does odd jobs in his locality in Hyderabad. While he manages to earn a maximum of Rs 7,000 a month, he had to spend Rs 50,000 in just 24 hours. He has already spent almost Rs 2 lakhs and has nothing left. He has lost all his savings and is already neck-deep in debt. The parents seem to have reached the dead end but they are not ready to watch their baby die in front of their eyes. 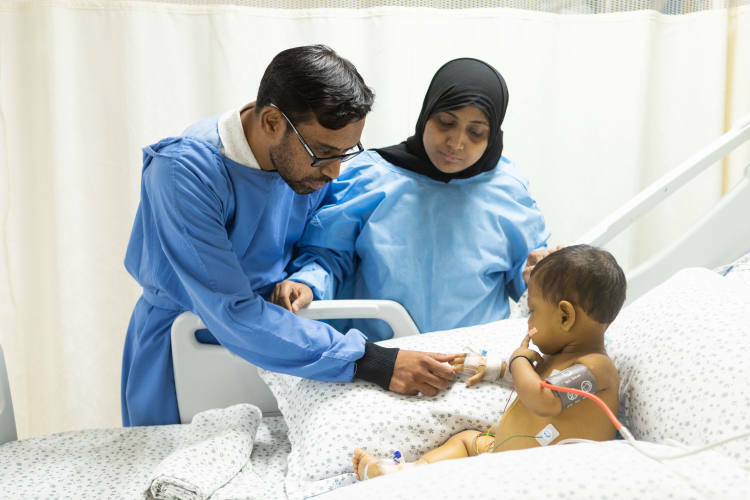 2-year-old Ayesha is suffering from acute liver failure. 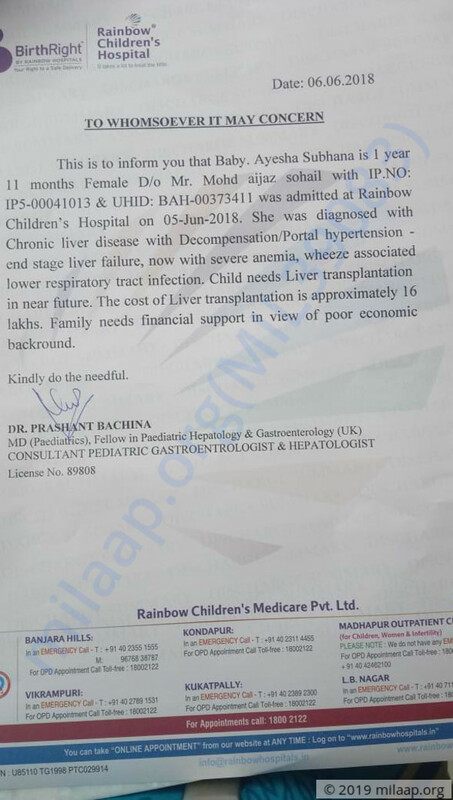 She needs an urgent liver transplant or she will die. But her desperate parents cannot arrange Rs 16 lakh and are scrambling for money to save her. Thank you for the wonderful support that you have shown towards Ayesha. I have some unfortunate news to share with you today. Ayesha passed away. She was undergoing treatment and she had completed the donor workup. Her father was a match based on the reports that had come. She developed lung infection and the doctors were treating her for the same. She fought very hard and her body could not take the stress and she left all of us. 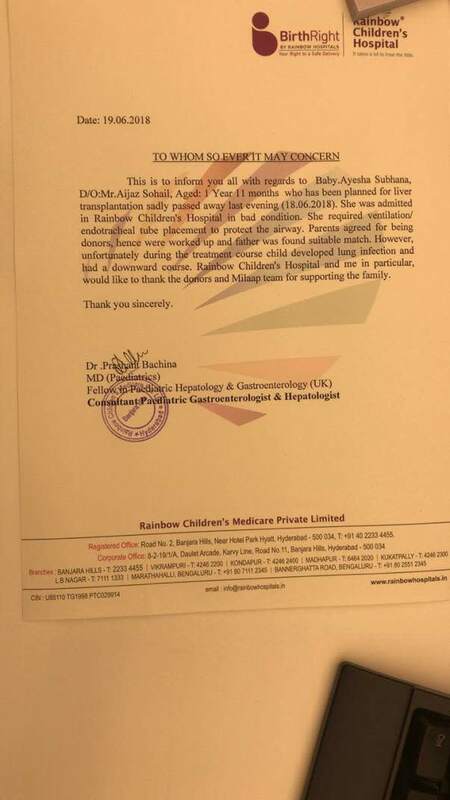 A portion of the funds raised has been utilised towards her treatment (donor workup and PICU care). The remaining funds upon discussion with the family will be used towards Yogyata'streatment. Baby Yogyata is only 5 months old, but she has lived more than half of her life in pain. At just 2 months, she was diagnosed with a severe liver disease which causes obstruction in her bile ducts. This makes the liver function rather poorly and with time, this may cause complete liver failure and death as well. However, in case you would like to opt for a refund, please reply to us by 28th June and we will be happy to initiate a refund for you. After which all the funds raised via this campaign will be transferred towards Yogyata's treatment. Thank you for your love and support. This couldn't have been possible without you. Ayesha was supposed to undergo transplant on June 14th or June 15th after aneasthesia clearance. She's still on ventilator and the doctors have identified the father as the donor.But unfortunately, the baby could no get aneasthesia clearance as child developed pneumonia. Hence the doctors have decided to wait until the baby's lung condition improves. We are hopeful about her recovery. Please keep praying. We shall keep you posted. Thank you for the wonderful support that you have shown towards Ayesha. She is doing better now compared to earlier and a few tests are scheduled in this week. The tests will help in ascertaining who is a match and based on the reports the doctors will be suggesting the future course of action. Thank you for the wonderful support once again. Please do pray for her health and speedy recovery. Will keep you posted.